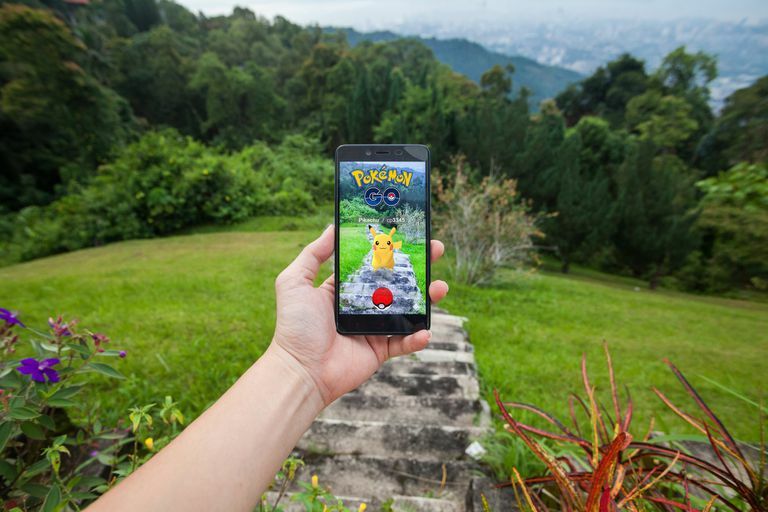 Nintendo's Pokemon Go encourages gamers to get out into the world, and capture a variety of tiny pocket monsters using their mobile smartphones; however, the game can also get competitive and these cheats can help you stay ahead. Whether you need to capture a Pokemon that isn't in your geographical region or can't stand waiting for an event to complete, we've got you covered. Cheating is not advised by the creators of Pokemon Go and some cheats, such as location spoofing, may cause your account to become banned. Please proceed with caution. Pokemon Go is a location-based mobile game, meaning that depending on your geographical location, some Pokemon may or may not be available. As a result of this limitation, some players have taken to what is known as location or GPS spoofing in which they trick their device into thinking it is somewhere it is not. To follow these steps on an iPhone, it must first be jailbroken. Open the Cydia app on your jailbroken iPhone. Search for iOSRoamingGuide and install it. Open Apple Maps on your iPhone and position the map in a location where you would like to spoof your GPS. Tap the location on the map to drop a pin. Scroll down, and select the bit of Chinese text — the button is in a foreign language and cannot be changed. To return to your actual GPS' given location, remove the pin from Apple Maps, then tap on the location button (hollow arrow) in the bottom-left corner to reset your location. You are now ready to play Pokemon Go at your chosen location! Download Fake GPS Go from the Google Play Store. Scroll down to the About phone section and select it — this option may be located under the System menu depending on your model phone. Tap the displayed Build number seven times for your device to be placed in developer mode. Now, select the Developer options menu item that appears. Select the Select mock location app option, and select Fake GPS Go. Lastly, open the Fake GPS Go app and select the location you would like to spoof. To stop spoofing, simply hit the Stop button. Sometimes you just don't have time to sit through all of the animations present in the Pokemon Go app — after all, you could be capturing Pokemon instead of merely sitting around. Follow these steps to skip the raid, catch, and evolution animations in Pokemon Go. Tap the Pokemon you want to catch as you normally would. With your other hand, use a finger to swipe from right to left at the bottom of the screen — leave your finger remaining in the left corner, and do not remove it. Throw the Poke ball as you normally would. Remove your finger from the left corner as the Poke ball hits the Pokemon. Tap the screen to exit the Poke Ball menu, then tap the Run icon in the top-left to complete the catch, while bypassing the catch animation. Check to see if you have successfully captured the Pokemon, if not, try again. Create an empty team for the raid. Join the raid you wish to take part. Pick the empty team you had created earlier. Wait for the raid to start. Once it beings, you will be prompted to pick your real raid team — this bypasses the normal Raid animation screen. Don't have time to wait for the evolution animation to complete? Just quit the game and relaunch it — the process is really that simple. Once the evolution animation begins, simply force quit the game, and launch it again. The process to start the game is typically much shorter than the amount of time it takes for the evolution animation to complete, saving you a bit of time. If you have a few friends with you, it is possible to remove any Pokemon from a Gym. Nothing can stop you and your friends with this cheat onboard. Just know that this is one powerful cheat, so wield its power with responsibility and caution. Begin your gym battle with two other friends, making three total players. Have both Player 1 and Player 2 drop-out immediately, and allow the Player 3 to continue battling. Have both Player 1 and Player 2 join a new gym battle. Have Player 1 drop-out immediately and allow the Player 2 to continue battling. Have Player 1 join a new gym battle. Have every player finish their battles. Due to the way Pokemon Go handles gym battles, the Pokemon in question will be dealt with considerably more damage, allowing you to remove it from the gym. Need to move forward in time to complete a task or just can't wait to pick up your next raid pass? One option is to push your phone's date and time manually forward within settings. Follow these steps to easily alter the date on your phone and acquire what you need in less time. Many of your phone's services and apps may rely on the clock, and changing your device's time around may cause unwanted behavior on your device. Don't have time to locate where a specific Pokemon might show up on the map? Utilize free online trackers to keep an eye on the surrounding area and know the status of gyms, raids, and other events appearing around you. Our top recommendation for such a website is PokeHuntr, followed by Pokemon Go Map, but you can also find your own options by searching with your favorite search engine. Pokemon Go bases a number of in-game actions depending on how far you walk or travel — such as egg hatching. If you begin moving at a speed over 10km per hour, the process stops as it assumes that you are in a moving vehicle; however, if you have an Apple Watch, you can override the feature. From your Apple Watch, and the Pokemon Go app, begin a workout. As you travel, simply keep your hand bouncing up and down on your knee — this action will trick Pokemon Go into believing that you are taking part in physical activity. Just note that if you go too fast, even Pokemon Go will know you're lying.